Zoroastrianism is one of the most ancient religions of the world. At one time it was the dominant religion of Iran and adjoining regions. Its popularity declined when the Islamic invaders occupied Iran and introduced Islam. A handful few who fled from Iran, after the fall of the Sassanid Empire, to escape persecution in the hands of the new rules took shelter in India. They are known today in India as Parsis, a small community that has been persistently striving ever since to keep the tenets of the religion alive, despite hardships and lack of following. Apart from them, a few people in Iran continue to practice Zoroastrianism. They enjoy a minority status in Iran, an Islamic nation, with a limited degree of freedom to practice their religion. The total number of people practicing Zoroastrianism in the world today would be around 250000 of whom 80% live in India and the rest in various parts of the world including the USA. Although Zoroastrianism lost its status as a popular world religion, its study and knowledge are very useful for our understanding of the development of religious thought in the ancient world and how its important beliefs and practices have parallels in other religions such as Judaism, Christianity, Islam and Hinduism. The following are some of the important beliefs of Zoroastrianism. 1. Belief in Supreme and Universal God. Ahuramazda is the supreme, omniscient and omnipotent God, who symbolizes truth, radiance, purity, order, justice, courage, strength and patience. He is the creator as well as sustainer. He also protects the good from the evil and maintains order by keeping the chaotic evil at bay. 2. Belief in the duality of existence. Zoroastrians believe that the world is battle ground between good and evil forces. Although the good will ultimately triumph and the evil forces would be destroyed, Zoroastrians believe that every human has a role and responsibility in enhancing and marinating the sanctity and purity of our existence by staying away from evil, avoiding all possible contact and communication with it and by enhancing the good amidst us through religious practices and observances and adherence to the teachings of Zoroaster. 3. Belief in the divinity of creation. Zoroastrians believe that God created both the invisible and invisible worlds from Himself using His astral body and His own light. His creation is therefore very sacred and divine. It is everyone's responsibility to keep it pure and maintain the order or asha established by Him. 4. Belief in the spiritual nature of the world and human beings. Zoroastrians believe God created the spiritual entities and beings before manifesting their counterparts in the material plane. The material world consisting of fire, water, air, earth, plants, animals and humans is very much like the body of God, while His spirit rules supreme and pervades the whole creation in various aspects and entities. The fravashis or guardian spirits were created in the material plane as human beings from the primeval man, from whose seed were born Mashye and Mashyane, the first man and first woman. All the races of humanity descended from these two in due course of time. 3. Belief in polytheism. While Zoroastrians worship Ahura Mazda as the highest and supreme God, they also believe in the existence of a number of divinities who represent His good qualities and who assist Him in containing the evil in the material world. Highest among these are the six Immortal Beings or Amesha Spentas who personify His good qualities individually, followed by angels, lords or ahuras and other divinities. Sacrificial rituals called Yasnas, rituals and prayers are used to invoke these divinities on different occasions to sanctify the world and help the faithful in their lives. 4. Belief in the basic goodness of the humanity. Zoroastrians believe that human beings are essentially divine in nature and share the spiritual nature of God. So they are not born as sinners nor there is a compulsion to be a sinful. Human beings are born pure and have a choice either to follow the teachings of God and remain righteous or follow the ways of the evil and be damned. Depending upon their choices and their actions, God decides their fate in the spiritual realm. God offers knowledge of righteous conduct and provides instructions for the expiation of sin. Buy He does not make a promise to take upon Himself the sins of his worshippers. 5. Belief in the sanctity of the elements. Zoroastrians believe that God created the spiritual world before he began His material creation. The spiritual world is beyond the power of evil to infiltrate it and corrupt it. However the material creation of God does not enjoy the same immunity. It is prone to attacks from evil, who had already entered the world during the second time period and established his presence. Human beings should therefore be aware of the dangers that lurk in the material world and do their part to stay away from evil. They should neither do nor encourage any actions that would result in the tainting of the material things and the elements. Fire, water, earth and air should be kept pure by not allowing the evil entities to pollute them. They should do this by leading righteous lives and avoiding physical and mental contact with evil things such as dead and putrid matter and other impurities. The dead bodies should neither be cremated, nor thrown into water, nor buried in the earth. They should be allowed to disintegrate or consumed by vultures and other birds who have been created by God for the specific purpose. 6. Belief in the tradition of prophets. Zoroastrianism is based on the teachings of Zoroaster or Zarathushtra, the first prophet. According to legend God manifested Himself to him in a vision and revealed him the secrets of creation and the religious instructions to be followed by people on earth to pursue the path of righteousness. 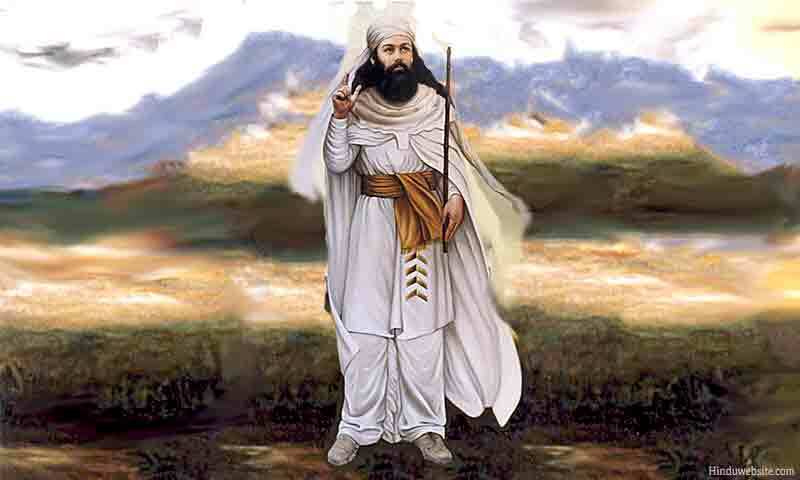 The teachings of Zoroaster are available to us in the Zend Avesta, the main scripture of Zoroastrians. Followers of Ahura Mazda believe the birth of Zoroaster heralded the beginning the current cycle of creation, which would last for 3000 years. During this period a prophet would appear on earth at the end of each millennium to preserve the teachings and guide the humanity. The third prophet, will be a future son of Zoroaster, whose name would be Shoshyant, who would herald the Judgment Day and the eventual destruction of evil powers in the material world. 7. Belief in afterlife. According to Zoroastrian beliefs death is as a result of the spirit leaving the body. The sanctity and purity of the body is lost once the spirit leaves it. Having left the body the soul would remain on earth for a three days and nights, hovering near the body. Then it would depart to the spiritual realm, led by Daena, the guardian spirit, where it would be greeted with a vision of the thoughts, words and actions it performed when it was inside the human body upon earth. It would then be led to the Chinawad bridge, where an angel would assess its actions and decide whether it should go to the heaven or hell for a temporary residence till the Last Judgment Day. Zoroastrianism believe in the final judgment day, on which God would resurrect all the dead and subject to a second scrutiny. All the good souls would be given a permanent place in heaven and the rest will be condemned into a purgatory till eternity. Some Zoroastrians also believe that the souls are born in the material world as per the decree of God to overcome their defects and achieve perfection. Life upon the earth is therefore a great opportunity for the souls to refine their character and become perfect beings of light. Zoroastrian texts describer heaven as a place of pure joy and happiness inundated with the light of God and hell as a cold and dark place where the evil spirits subject the sinners to gruesome punishments. 9. Belief in the Judgment day. Zoroastrians believe that at the end of current cycle of 3000 years, God will destroy the evil forces in a final conflagration and herald the Judgment Day . On that day He would resurrect the dead and subject their lives to another scrutiny. Those who prove to be pious and obedient to his instructions would be suitably rewarded with an eternal life in heaven and the rest will be condemned to an eternal suffering in a purgatory. 10. Belief in the efficacy of sacrificial rituals. Zoroastrians believe in the performance of sacrificial rituals called Yasnas as an important part of their religious observance and the best means to communicate with God and His entities. The rituals constitute an important aspect of righteous conduct. The rituals are meant to purify the world and also the people involved in it. They are usually performed by qualified priests, to the accompaniment of chants from the Avesta, inside a fire temple. Zoroastrian scriptures emphasize the importance of maintaining ritual purity while performing the rituals for obtaining best results. Zoroastrians also offer five prayers every day, during different times. In addition to these they also perform an initiation ceremony called Naujote for both boys and girls before induct them into the Zoroastrian path. They also celebrate some popular festivals in honor of God and His entities. 11. Belief in the efficacy of sacred chants. Zoroastrians believe in the ritual chanting as the means to establish order and purity in the world and in the lives of the worshippers. Manthras or sacred verses from the religious texts, usually in Avestan, a sister language of Sanskrii, are chanted in a particular manner to please God and the spiritual entities. Chanting mantras is considered to be a form of practicing the three commandments, namely good thoughts, good words and good deeds. 12. Belief in the importance of righteousness. In the Zoroastrian world view, the material word is a battle ground between the good and evil forces. Human beings have a sacred responsibility to remain on the side of the good and assist God in getting rid of evil from creation permanently. Men should therefore practice righteousness, aim to cultivate the qualities of God as represented by the six Immortal Beings and promote Asha or order, Truth and righteous conduct everywhere.